The widely tunable physical and chemical characteristics of hydrogels make them advantageous in biomedical and pharmaceutical applications, yet their hydrophilic nature might discourage their use as drug delivery systems for poorly water soluble molecules. 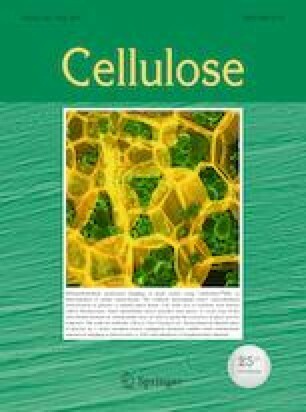 In this work we demonstrate the sustained release of a large amount of a lipophilic drug (clofazimine) from nanocellulose hydrogels. Hydrogels are formed via ionotropic gelation and loaded with up to 37 % w/w) of the hydrophobic molecule. The kinetic profile avoids the initial burst release and we demonstrate that the surfactant co-loading is a successful strategy to increase by about 50 times the drug solubility in water, without the need of complex fabrication steps. The online version of this article ( https://doi.org/10.1007/s10570-019-02407-y) contains supplementary material, which is available to authorized users. The authors acknowledge SCA Östrand (Sweden) for the supply of cellulose material and Prof. M. Scarpa for fruitful discussions.